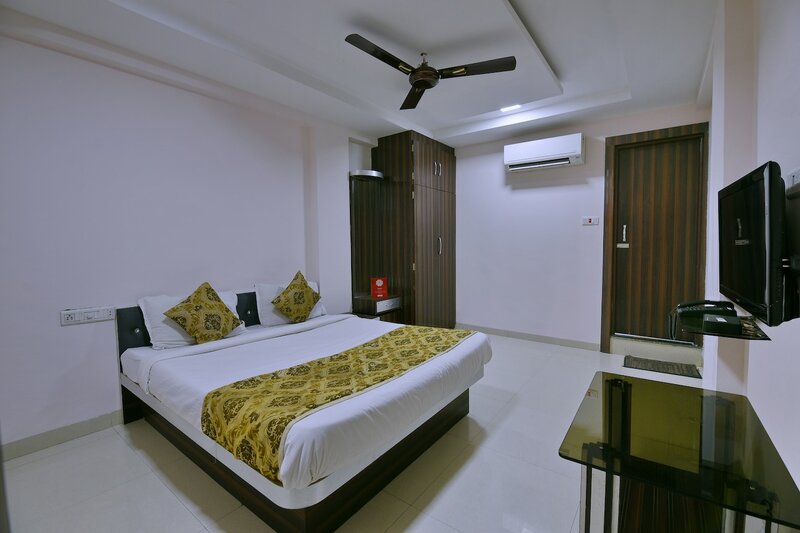 Hotel Krishna is quite popular among travelers visiting Indore due to its location as it is within close proximity to a number of landmarks. The rooms in this establishment are painted in monochromatic hues and the burst of colors is provided in the form of cushions and curtains. The rooms are very spacious and are well-furnished. The additional features provided by the hotel are free Wi-Fi, card payment in all forms, an elevator facility, laundry provisions, and CCTV cameras. There is a common lounging area which can be used by the guests to relax and rejuvenate after a tough day at work. The front desk service is manned by experienced staff who help the guests gain access to their booked rooms.